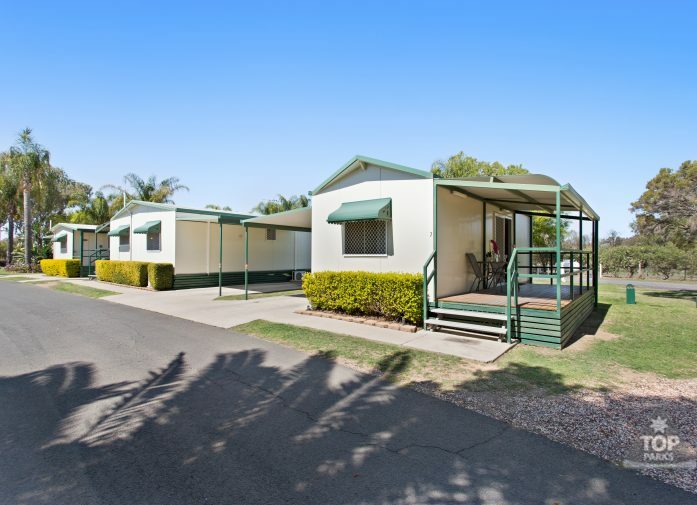 Large and spacious and with an excellent range of inclusions, our Premium Ensuite Cabins are the perfect destination or stopover for couples or business travellers looking for modern, clean and affordable accommodation in Goondiwindi. 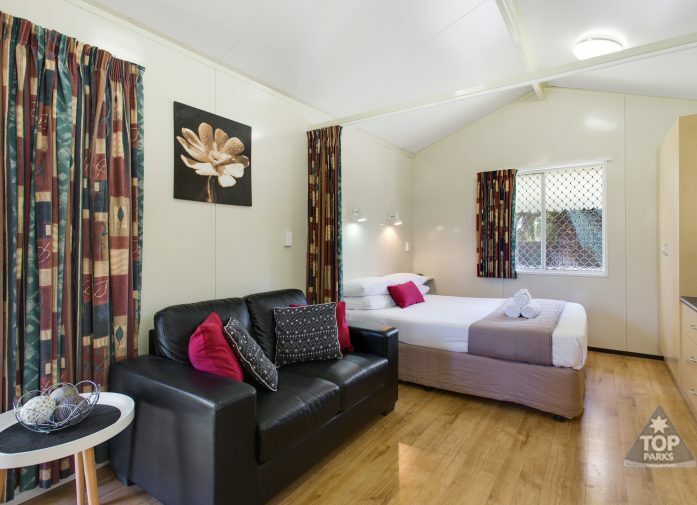 These cabins are a great value alternative to traditional hotel or motel-style accommodation and provide all the comforts of home at an unbeatable rate. Our Premium Ensuite Cabins include a queen bed with linen that can be screened off from the living area for added privacy. For comfort and convenience, there’s also air-conditioning, a television, a kitchenette which includes a fridge, oven and stovetop, cooking utensils for preparing a basic meal, crockery and cutlery as well as a dining table and chairs. Seating is comfortable either inside on the sofa or outside on the balcony. If cooking in the kitchen feels too much like home, you can take advantage of all the park’s facilities including BBQ which is available to all our cabin guests. 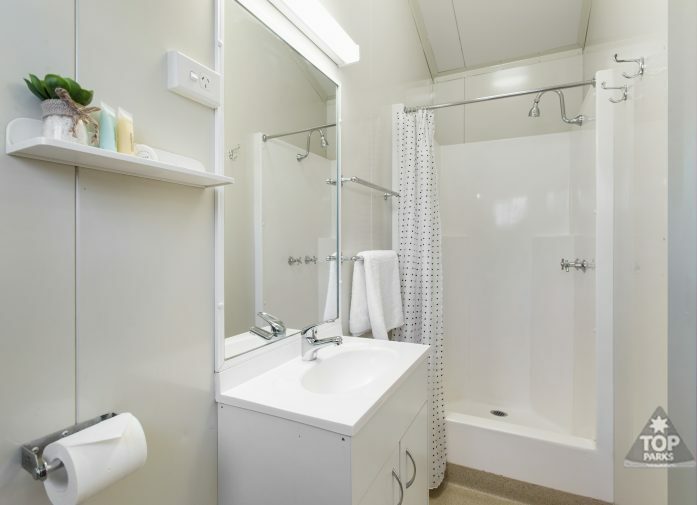 The ensuite bathroom includes a shower and a hairdryer is also provided for your convenience. Additional amenities include an ironing board and iron and clock radio. Our cabins are smoke-free for the comfort of all guests and each comes with a complimentary coffee machine, tea, coffee and sugar. 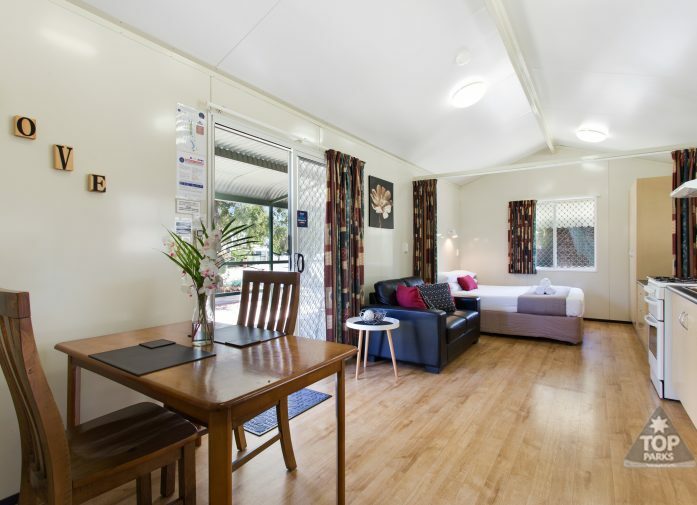 If you are looking for great value hotel or motel-style accommodation in Goondiwindi, there’s simply no better value than booking one of our clean and comfortable Premium Ensuite Cabins. We look forward to welcoming you when you stay with us.